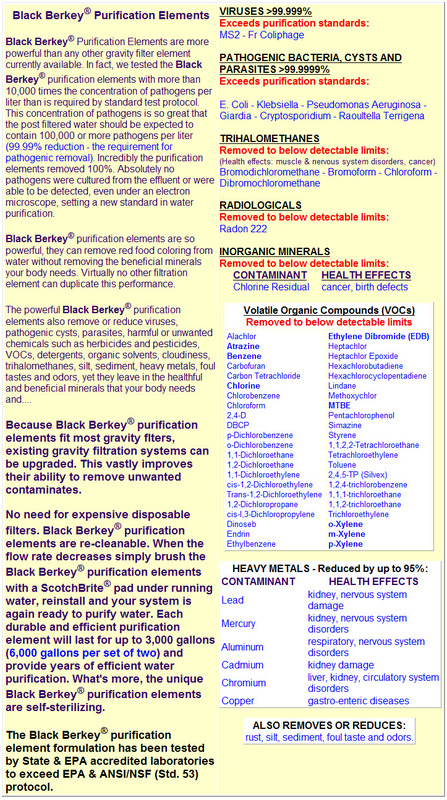 OK, here it is folks…although the Berkey Water Purifiers are great; what makes them great is the “Black Berkey Water Purification Elements.” That’s right…the systems are really just containers for the Purification Elements. 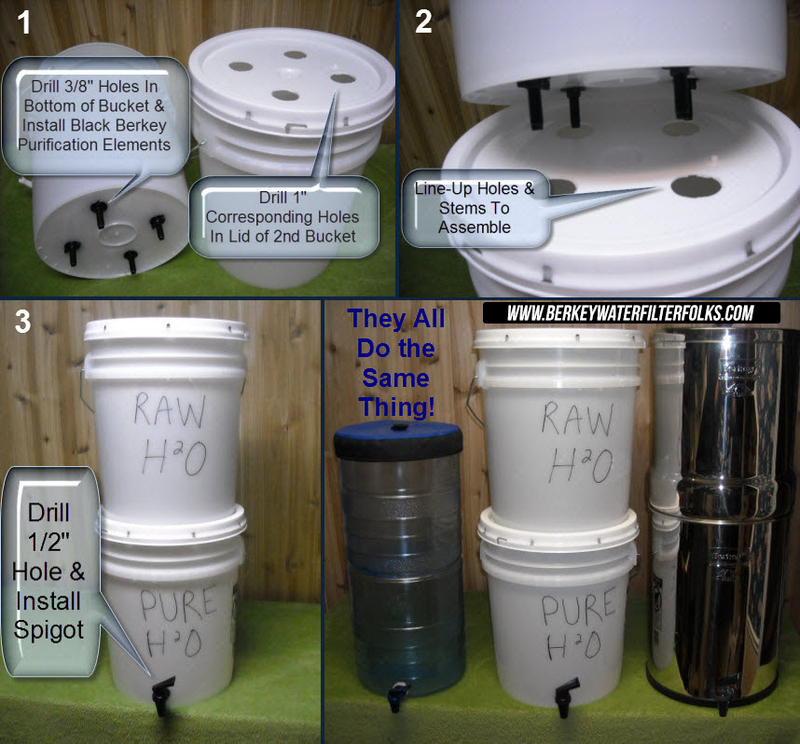 It’s nice that they have lids and spigots etc., but in the end it is all about the purification elements. We also wanted to provide you with a PDF that has the above instructions AND the top methods of filtering or purifying water. You can print it out and keep it in your emergency supplies so you always have a little “cheat sheet” for this crucial part of survival. We would suggest printing a copy on thick cardstock and putting it in your supplies. Please feel free to share this with your friends and family! It’s one more thing we can do to be prepared for any situation that may come in the future. You can download it Here. From where we can buy a Black Berkey and how to keep in bucket? The Black Berkey Purification Elements are in the “Extras” tab in the menu bar. You can buy a couple of “Food Grade” buckets at most local stores like Home Depot. If you are not sure about things please call me.